Advanced protection for wounds and surgical incisions. These sterile, waterproof film dressings provide a bacterial and viral barrier. The unique absorbent pad won't stick to the wound. (In vitro testing shows that the transparent film provides a viral barrier from virus 27 nm in diameter or larger while the dressing remains intact without leakage). Provide a barrier to bacteria and viruses– Sterile film dressing provides an effective bacterial and viral barrier. 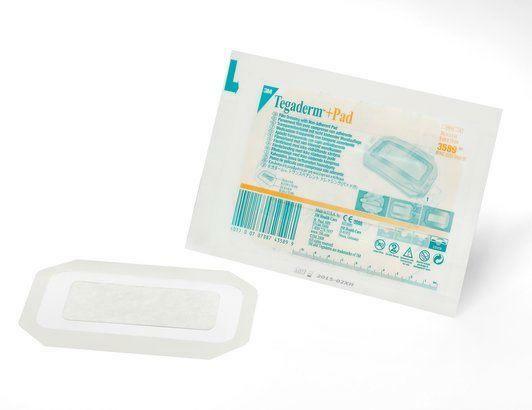 Practical for patients – Waterproof film lets patients shower without removing the dressing *if the dressing is fulling intact and not lifting. Easy to apply – Conforms to body contours and flexes with movement or swelling. Can be worn up to 4 days. Convenient for clinicians– Available in a wide range of sizes for most common applications.